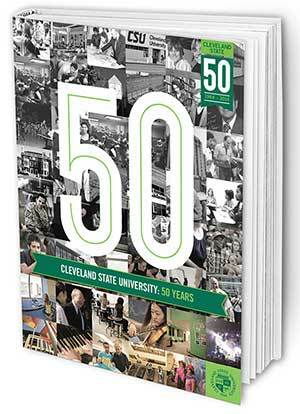 There will be a planned network outage for the entire Cleveland State Campus beginning Saturday February 28th at 7:00 PM until 10:00 AM Sunday March 1st. You will be unable to access the Library's website. Permanent link to this topic. Posted 2015-02-25 07:08:58. Reply to Lauren_Felder. Categories: Library News. In celebration of Women's History Month, the Michael Schwartz Library, in conjunction with the English Department, the Common Reading Program, and the College of Liberal Arts and Social Sciences, is hosting a Read-In Day from 11:30 am to 12:30 pm on Thursday, March 26th. The campus community is invited to hear fellow faculty, staff, and students read aloud both fiction and non-fiction prose and poetry by and about women that is significant to them. This event is free and open to the campus community. CSU students, in particular First Year Students enrolled in ASC 101 Introduction to University Life, are encouraged to not only attend the event for their enjoyment, but also for the opportunity to make the most of Women's History Month by learning about and sharing literary works by and about women. There is also the possibility that said works will foster among the attendees further interest and education about women's literature and history. If you would like to participate as a reader contact Professor Barbara Walker, Department of English, at 216-687-2563 or b.s.walker@csuohio.edu to discuss your selection and to schedule a time (limited to 5 minutes). Sign up today! Read-In Day is a national initiative that is sponsored by the National Council of Teachers of English that focuses on literacy by encouraging reading. Permanent link to this topic. Posted 2015-02-24 16:48:46. Reply to Barbara_Loomis. Categories: Library News. Permanent link to this topic. Posted 2015-02-18 07:17:47. Reply to Lauren_Felder. Categories: Library News. Showing posts from February 2015 only. Display other dates.